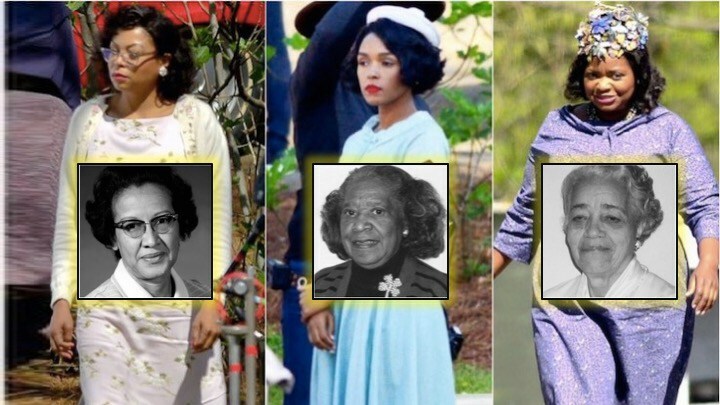 Last night I caught the movie Hidden Figures about the black women who worked at NASA as "calculators" during the 1950s and 60s. The story was set in 1961 when the Russians were beating the Americans in the race to space. 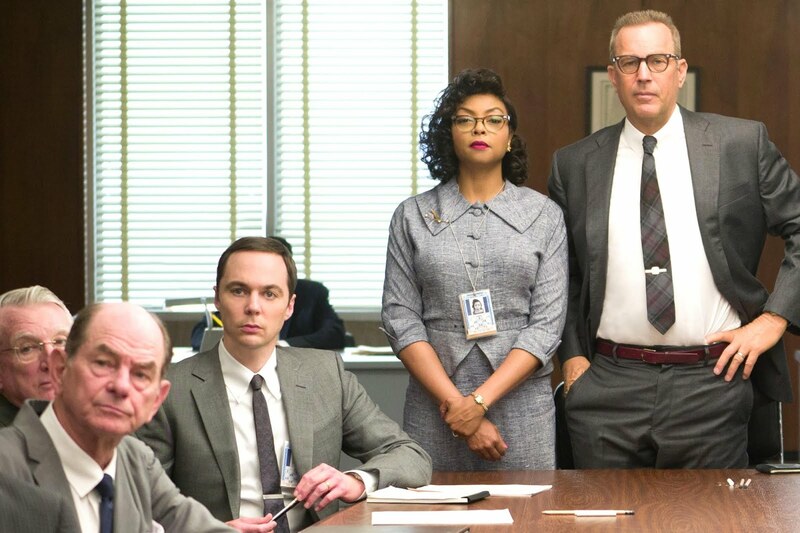 Luckily NASA had Katherine Goble (played by Taraji Henson) who as a young child already displayed a talent for mathematics. She was assigned to work in the Space Task Group on John Glenn's first trip into space and manages to figure out an equation to bring him back safely. 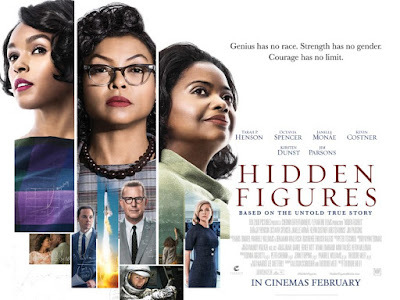 Her friends are Mary Jackson (Janelle Monae), who aspires to become an engineer and even fights in court to be able to attend engineering night classes in an all-white school, and Dorothy Vaughn (Octavia Spencer) is smart enough to learn computer code so that her job and those of her cohorts won't disappear. It was difficult to watch the underlying theme of segregation in the film, how blacks had to use "coloured" washrooms, lunch rooms, sections in libraries, buses, and so on. But it reflects that era when blacks were forced into such humiliating situations. The same could be said with Asians as well in another period. 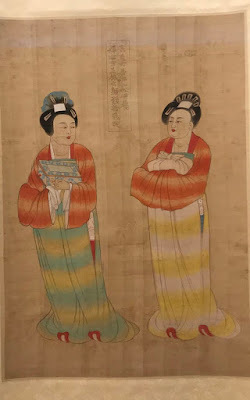 But at the same time it was heartening to see how the three women handled such condescending attitudes by still carrying on with dignity and teaching their children to do the same. It was pretty amazing that these three women are real people who accomplished so much under such adverse conditions as documented in the non-fiction book by Margo Lee Shetterly. However the movie has a few historical inaccuracies that should be pointed out. While the movie was set in 1961, Vaughn was already made the first black and female supervisor in 1949. By 1958 there were no more segregated facilities at NACA (later called NASA). The scene where Al Harrison (Kevin Costner) takes down the coloured sign for the bathroom is fictional, nor was he her boss, but Robert Gilruth. Also in that same year Jackson becomes NASA's first black female engineer. Although John Glenn did request Goble (she later remarried and became Katherine Johnson) to recheck the IBM calculations for his landing, she had a few days to do this, not within hours of his launch. The movie's epilogue says Johnson also calculated the trajectories for Apollo 11 and Apollo 13, and for the Space Shuttle. She was awarded the Presidential Medal of Freedom in 2015 and a 40,000 square foot Computational Research Facility at the Langley Research Center was renamed the Katherine G Johnson Computational Research Facility in her honour last year. She is 97 years old. Jackson also went onto helping other people, particularly women get promoted at NASA. Thank you to these women and all those who worked as "computers" at NASA to inspire us to keep pushing onwards and upwards in realising our dreams. There is no limit unless you think they exist.